In today's world, when you log on to an Infiniti G37 parts and accessories website, the process of obtaining the items you need sounds simple enough. First, you enter the make, model and year of your vehicle, then you select the part or accessory you need. Fill out a form including your name and address and your Infiniti G37 parts and accessories should arrive at your home or office in about five to ten business days. However, despite the simplicity of doing business over the Internet, countless customers are left unsatisfied when their parts or accessories fail to deliver what the website promised. Delayed shipments, wrong parts and parts that do not fit are just to name a few of the complaints people associate with online Infiniti G37 parts suppliers. Unfortunately, millions of people continue to turn to these websites, mostly because their options appear to be so limited. 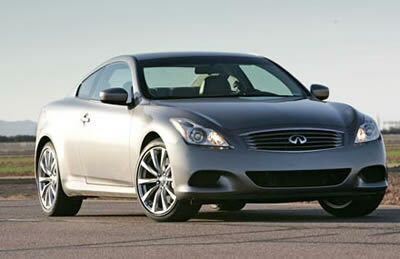 Luckily, you have found the last Infiniti G37 parts locator service you will ever need! UNeedAPart.com is your greatest ally when it comes to finding exactly what you need, exactly when you need it. With access to over 7,000 parts dealers across the nation, we will only connect you with the ones that have the items you need stocked and ready for shipment, so you never have to wait or search aimlessly again. Now, you can save all of the time you would have spent sifting through websites and spend it where you really want to, on the road. From Infiniti G37 performance parts to body kits, replacement wheels and other hard-to-find Infiniti G37 accessories, UNeedAPart.com is the one stop source that you can depend on time and time again. Whether you are looking for used replacement parts or just a little something extra to spice up your ride, we have your one-way ticket to fast and free service. Finding the right Infiniti G37 parts and accessories is easy! To get started, simply use the Parts Request boxes at the top and/or side of the page. We will instantly match you with the auto parts dealers that meet your search criteria. UNeedAPart.com helps you find the used auto body parts you need in no time!